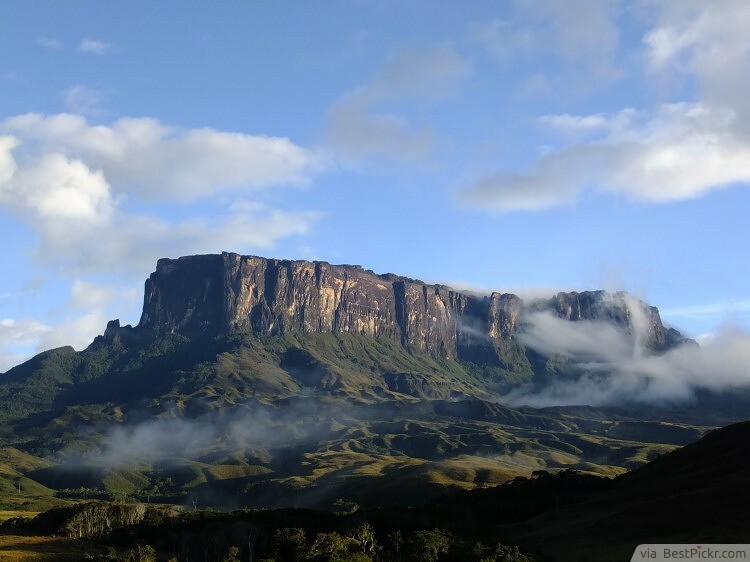 This mountain, which is in the shape of a tabletop, is not just one of the oldest mountains on the planet. It’s also one of the oldest geological formations, dating back to two billion years. This was a time when the land was lifted above the ground because of all the tectonic activity. 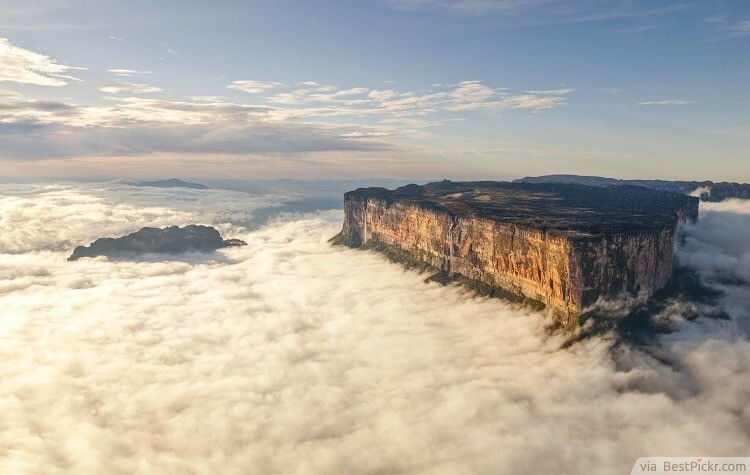 The sides of the mountain, which serve as a border between Brazil, Guyana and Venezuela, are cliffs that house various waterfalls. 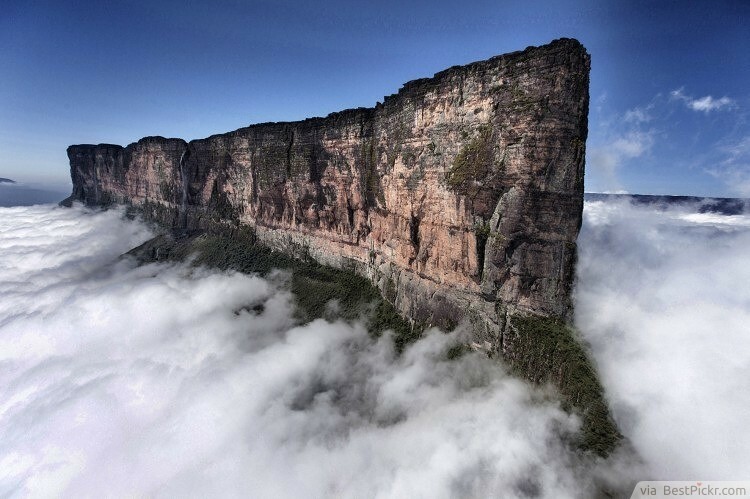 This makes the mountain nearly impossible to climb, but nonetheless one of the most splendid places in South America.